May 24 in Carlsbad, CA was a memorable one for local business owners, sales rep and entrepreneurs. Dedicated professionals came out for an early morning special networking event at The Crossings Golf Course and hear Sweet speak. CARLSBAD, Calif. - June 7, 2016 - PRLog -- The focus: to connect with other dedicated business owners and to learn how to grow their businesses making use of the right referral networking system. 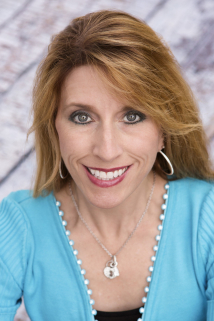 Debbra Sweet, a Certified Trainer in Word of Mouth Marketing, an expert in Entrepreneurship, has been a Director Consultant for the local BNI region for 11 years, and has been involved with this organization for close to 19. BNI is the world's largest professional networking organization of its type. Sweet gave a keynote address on the benefits of effective word of mouth networking for effective business grow. Sweet spoke on the undeniable necessity of networking and why it is crucial to form strong lifetime relationships so whenever you need help, advice, a product or service, you can call on your network and someone will be able to help you, or know someone else who will. For soloprenuers, this means that you are no longer alone in your business. For established companies looking for quality, dependable resources to work with during the phases of business growth, you can have hand selected, immediate access to someone in your network thanks to the relationships you have formed. Networking is a vital part of your business and a strategy that maximizes your exposure and puts you on a platform similar to big business. Database - that is, everyone you have ever had contact with. Your Inner Circle - About 20 - 50 people who know you well and whom you trust. These people can give you honest feedback and constructive critique when necessary without fear of offending you. Your Network - These are people you know from college/university, old colleagues, professionals you know, other business contacts, and people you have met at networking events. Family and Friends - The people who know you personally and intimately. Your Board of Advisors: These are 5-10 individuals who are your closest advisors. Debbra Sweet is a multipreneur and best selling co-author of the New York Times Best Seller "Master of Sales". She's also the lead author in the book series: "The Power of Leadership" and is set to re-release the 4th book in that series; "The Power of Leadership In Business Networking" within the next year.